If it’s not a hassle, you’re more likely to make a handgun part of your everyday carry (EDC). Besides shoving a gun in your pants, which is unsafe and never something you should do, there’s nothing easier than putting your pistol in a clipless sleeve and wearing it inside the waistband (IWB) or in a pocket — regardless of belt. There’s a trend growing in this category, and we’ve found that it’s not a gimmic. Carrying a pistol in a sleeve is not a new concept, but during the last two years we’ve seen manufacturers engineer sticky ways to help seperate the holster sleeve from the handgun during the draw. Elite Survival Systems is one of those companies. They have developed a silicone-­coated outer shell for its new Mainstay model that offers excellent slip resistance. 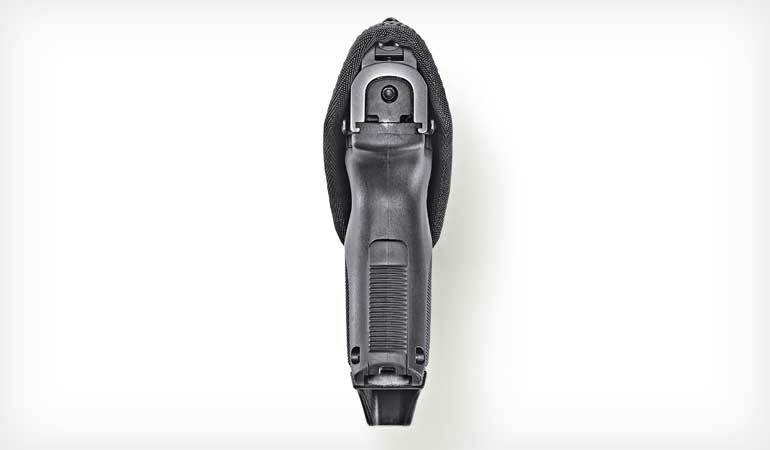 This non-­slip shell means that the holster remains in place as you draw. Featurewise, the holster provides immediate access to your firearm and allows multiple styles of IWB or pocket carry such as behind the hip, crossdraw, appendix, behind the back, etc. The holster is ambidextrous, lightweight and water resistant with a soft interior lining that won’t wear the finish of your firearm and eases holstering. Pricewise, it’s the same as its closest competitor, the Blackhawk TecGrip, both retailing for $25. For this review, I ordered several different sizes. Currently, there are 11 different sizes and three additional models that were designed around pistols with lasers attached. Using Elite Survival’s sizing chart for reference, fitment was excellent while carrying handguns ranging from a compact .380 to full-­size duty guns. For two months, I primarily carried a Ruger SR9C in a Size 5 Mainstay. This size also accommodated the Beretta 92, CZ 75, FNP series, full-­size Glock pistols, the S&W M&P series as well as the Springfield XD and XDM. I generally carried a pistol at 3 o’clock, but its versatility afforded me to move it to crossdraw when driving and appendix while standing, which also influenced draw times. (Size 5 was too large for pocket carry.) 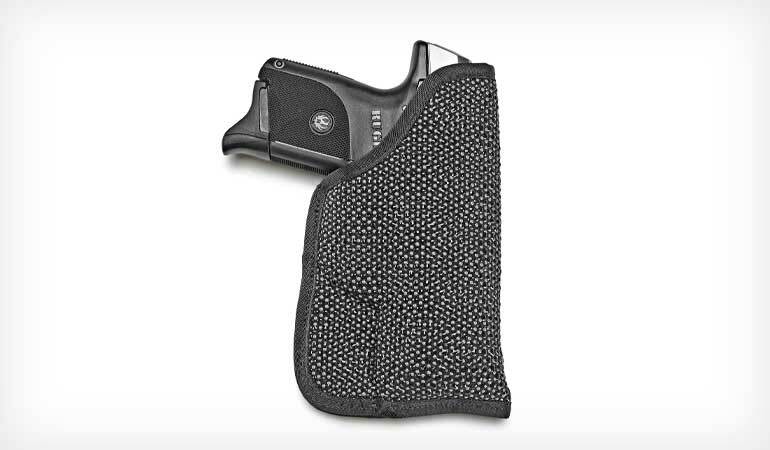 Because retention is friction fit, this holster proved fast. At the range I averaged near-­1.1-second draws from concealment. However, a word of advice: Always remove the holster from your waistline or pocket and then insert the pistol before placing the carry rig back into service.